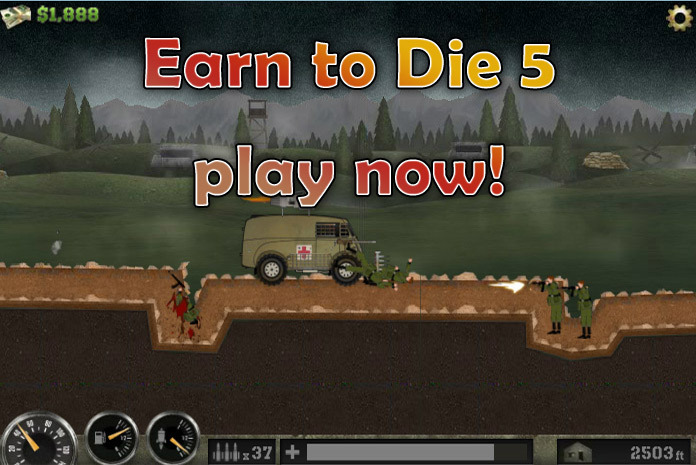 Welcome to Earn to Die 5 – home of the largest selection of games on the internet! Enjoy all versions including the newest one ( Exodus). 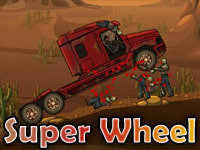 In this version, you play as a medic transport driver. Make it to the hospital in time to help save lives! 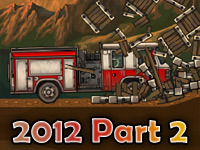 Shoot down or run over enemies that stand in your way, but be careful of the mines and bombs! Do you think you can make it to the goal line before the enemy takes you out? Try it now! Your main objective in Earn to Die 5 is to reach the goal line in one piece. Earn money along the way to upgrade your vehicle. These upgrades will help you significantly! Avoid getting shot by enemy targets, and watch out for the land mines and bomb crates scattered throughout the field. Bombs and mines will cause your vehicle incredible amounts of damage. Use the cash you earn each day to purchase upgrade parts for your vehicle. 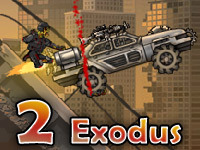 Complete each mission to unlock the next mission as well as unlock a newer, better vehicle! 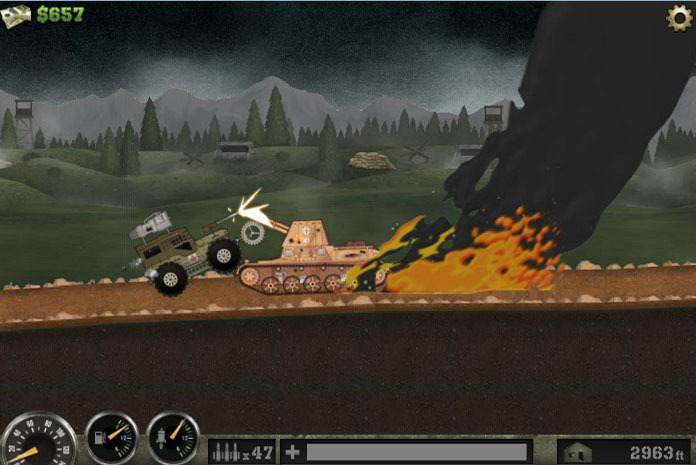 The primary controls are very similar to those in the previous versions of this game. Use the up arrow button to accelerate your vehicle, and the down arrow button to brake. To control the tilting of the vehicle, simply press the left or right arrow keys. Additionally, once you’ve purchased the rockets for your vehicle, you can activate them throughout the game by pressing the X key on your keyboard. 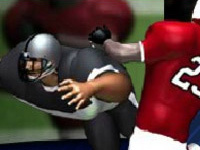 To pause the game, press the P button and to reset the current day press the R button. 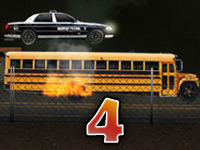 There are only three missions to complete this time, as well as three cars. 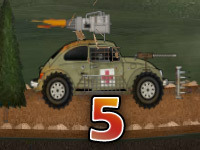 You begin the game on day one with the starter vehicle – the military medic VW Beetle – as well as some standard parts. Each mission will take a few days to complete. This will allow you plenty of time to purchase upgrades for your vehicle. Once you’ve completed mission one, you can unlock mission two as well as unlock the military medic van. 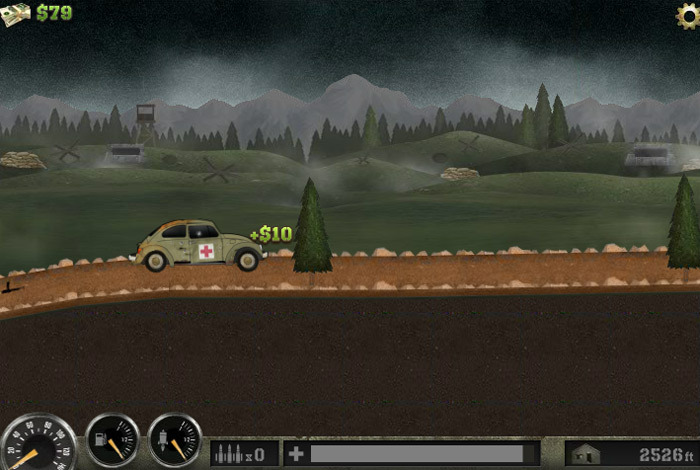 By completing mission two, you will unlock the third and final mission and vehicle – the military medic jeep. As you play each mission, each day you may unlock new achievements. In Earn to Die 5, these achievements are called medals. There are 20 medals that you can collect. Some may be relatively easy such as landing a single flip, while others may be significantly harder such as picking up $50,000! If you are stuck and don’t know how to complete a hard level, check out our tips. 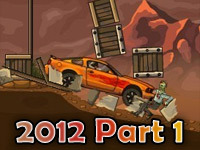 Your vehicles will require specific upgrades in order to get you from the beginning of the mission to the end. 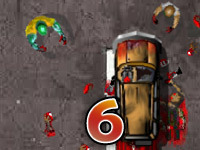 There are 11 upgrades available in Earn to Die 5. Each upgrade will give your vehicle a specific benefit that will drastically help you. Fuel Bar – Purchase fuel for your vehicle. Jet Fuel Bar – Purchase jet fuel for your rockets. Ammunition Bar – Purchase ammunition for your gun. Engine – There are three engine upgrades. These upgrades will improve your vehicle’s acceleration, top speed, and fuel consumption efficiency. Tuning – There are three tuning upgrades. These upgrades will improve the engines performance, the vehicles handling, and reduce the vehicles weight. Wheels – There are four wheel upgrades. These upgrades will improve the handling and speed of the vehicle. Suspension – There are four upgrades available. These upgrades will reduce the flip over rate and increase the chassis height. Fuel Tank – There are four upgrades for the fuel tank. Each upgrade will increase the amount of fuel the vehicle can carry. Armor – There are three armor upgrades. Each upgrade will improve the vehicles defense capabilities, increase it’s strength, decrease the amount of damage it receives, and increase it’s impact damage. 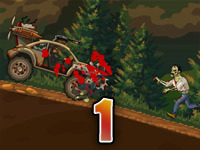 Weapons – Automatically shoots and kills enemies.